The advent of debit cards, credit cards and online banking began in the 1980’s and has progressed at an exponential rate in recent decades. Cash it seems, is at risk of being faded out of existence. Cashiers at stores struggle to make change and some restaurants and bars simply have foregone the process entirely. On toll roads throughout America, cars with EZ pass or other electronic payment systems attached to their windshield, cruise through the toll booths while those wishing to pay in cash are corralled into the slow lane. Popular and easy to use mobile payment apps like Venmo, Square Cash and Apple Pay now make paying with credit cards seem out of date. It’s not difficult to imagine that soon people will no longer carry wallets. Instead, all of their relevant financial and identification information will be stored in their smartphone. Car insurance companies have already moved towards this system. Geico encourages its customers to download its app rather than send any physical documents through snail mail. It stands to follow that driver’s licenses, birth and marriage certificates and health insurance documents will follow this process of digitalization. Soon we may be living in a world where not just paper money, but paper documents of any sort are considered obsolete. In the socialist utopia of Sweden less than 1% of all transactions are made in cash or coin. By March 2023, Sweden is expected to outlaw cash as an accepted form of payment. Other nordic countries are following suit. Do the Bernie Bros want to import this aspect of Scandinavian culture alongside universal healthcare and free college? Dispensing with cash and cards does sound convenient and less cumbersome. Why carry a bulging wallet, a book to read, a notepad for recording your thoughts, anything at all, when every possible need for physical implements is rendered unnecessary by technology? For those that want to downsize their personal belongings and dispense with clutter this sounds like a wonderful option. Of course there is a dark side to the digitalization of everything. Privacy advocates, already on the ropes in the digital age, gasp in horror at the idea that your most precious and private details will not only be available to sophisticated hackers but to anyone who glances at your phone. Big Tech in Silicon Valley and its subsidiaries, associates and rivals throughout the globe will now have gained even easier access to your entire financial history alongside the trove of personal data they’ve already gathered on you. The potential for an Orwellian, dystopian surveillance state (if we’re not already in it) increases exponentially. Now your health insurance provider sets an alarm every time you try to purchase a sugary snack with your phone. Pay for that donut now and your rates rise tomorrow! An incoming text message alerts you that you have now made your fourth junk food purchase of the month. Any further junk food purchases will be subject to review. How about some baked soy instead? What’s your objection? Do you not want people to live healthier, longer lives? After all, we’re all paying for each others healthcare. Unhealthy people are robbing from you and me. Don’t be so greedy and selfish and Privileged! You ask a friend to use their phone to make the purchase for you. But they’ve reached their limit as well. They simply can’t risk it. A shady character opens his jacket to reveal back market chips, soda, red meat, cigarettes. You want to buy them but how can you when everything is monitored? And who’s to say this is all taking place with smartphones. Smartphones are clunky and can easily be misplaced. That makes them a security risk. They are constantly in need of charging and upgrading. Why not implant a small chip in your wrist instead? That way you’ll never be at risk of compromising your valuable information. If someone wants to mug you, they’ll have to chop off your wrist with a machete. How about an iris scan – the ultimate symbol of status, independence, and freedom from the patriarchy! At what happens if the electrical grid falters? It happens all the time during storms. Do we all become temporarily disabled? Unable to buy and sell. Mark of the Beast anyone? How about the danger of an electromagnetic pulse attack from hostile powers? Don’t you wish we had just stuck with cash? When it comes to technology it seems that there’s no turning back. For those who would still like a little bit of privacy and independence, the alternative of crypto currencies avails itself. Crypto may be the digital equivalent of cash. But what really are crypto currencies and is that where we’re headed? In order to predict the future manifestations of money it is helpful to understand its past incarnations. 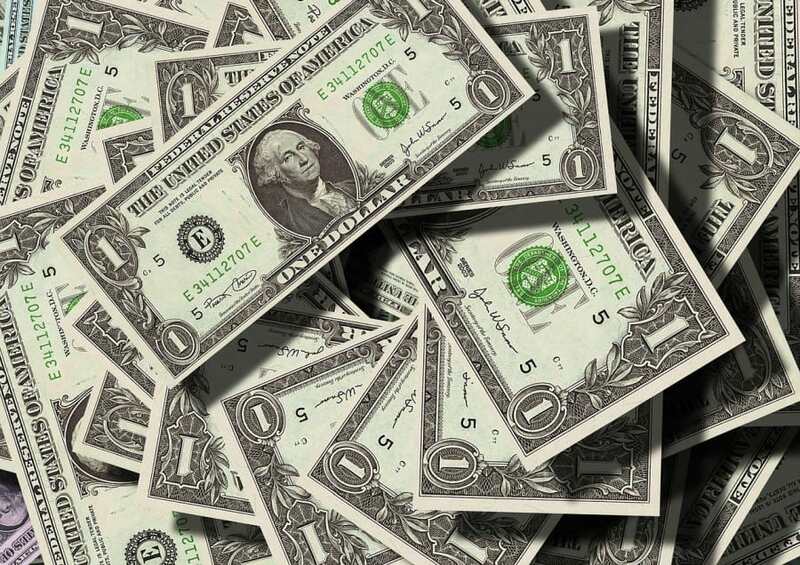 Money has appeared in many shapes and forms throughout the centuries but it has always served as a function of survival, trade, prosperity and control. “Money is the root of all evil” an old saying goes. It’s actually an often misquoted bible verse (Timothy 6:10) which states that ‘the love of’ money is the root of all evil. Timothy preaches that prizing money above virtue or love itself will lead one down an evil path. If one forsakes faith, wisdom and goodness in their lust for money they will ‘pierce themselves through with many sorrows.’ Timothy’s verse suggests that the sinner will have brought it upon himself. Timothy doesn’t state that money, in and of itself, is necessarily evil. He is more concerned with lusting and chasing after money. He would likely condemn the hoarding of money as gluttony – one of the seven deadly sins. Perhaps he considered money as a necessary evil. Those who view a holy life as one of poverty and penitence are at odds with the prosperity gospel. The prosperity gospel is a contemporary movement of wealthy, telegenic American preachers such as Joel Osteen. They proclaim that God wants us to be happy and rich. If you remain faithful and follow God’s directives, they preach, you will be rewarded with riches and wealth. Money is not to be feared or forsaken. Money in your pocket and a robust investment portfolio are signs from above that you are loved and following an anointed path. One thing is worth noting. How we value money and our attitude and perception towards money influence how much of it we have. But what is money? Money, in its primary state, represents food. We need food on a daily basis to survive. However, ingesting too much food leads to obesity and disease. At a rich man’s table people eat their fill and are happy to pass along the bowls and plates of food until everyone is sated. Some leftovers are preserved but much is thrown away. Food eventually spoils and goes rotten. The Lord’s prayer, the foundational prayer of Christianity, asks for daily bread alongside forgiveness of debt and sin. The request for daily bread is a sign of starting over both physically and spiritually. One must begin anew. Money is food that doesn’t spoil and can be easily transported and traded. You can refrigerate food for a while. You can preserve and can food for many years. But if you have more than your fill of food then you have a problem on your hands. A good problem to be sure. If you are a good steward of the land and reap an abundance of food and want to share it or trade with others you’ll have to figure out a way to bring the food to them. This can be complicated, especially if your neighbors or trading partners live miles away. Money doesn’t solely represent food, it represents housing, clothing, land, and all the goods that sustain life. When people developed an abundance of any one item such as crops or clothing or materials they began to trade for other items that they lacked. Carting your belongings around in boats and wagons to trade with one another is a cumbersome and risky process. It’s a process that continues to this day with highway trucking and international shipping. But it’s much easier to carry a few coins to market than it is a dozen bundles of hay. So money is also a means of transport. And it is a form of food that doesn’t expire. If you set some aside today, you can use it next week to buy a meal. It represents clothing and housing and any other goods and services that it can be traded for. But in and of itself it is largely valueless. You can’t eat money after all, and you can’t build a house out of coins. How coins came to denominate money is a history of its own. Three Thousand years ago minted coins first appeared in the ancient Greek municipality of Anatoli. Money is shiny, durable and relatively rare. Sea shells are nice but they break easily and wash ashore with great abundance. As long as there has been money there has existed ways to gather more money from others than one gives in return. The umbrella term for this behavior is business. Business transactions often involve large sums and the tracking and management of these sums is the activity of banking. In the same way that it is difficult to transport large quantities of goods in carts and boats to market it is also difficult to transport large sums of gold or silver coins. One can only fit so much in one’s pockets and purses. So bankers developed paper or fiat money. Paper money is to actual money what money is to food. It’s a representation once removed from the real thing. You can at least gnaw on a gold coin. But paper offers no nutritional value of any sort. Money represents value because you can trade it in for goods. Paper money represents money which represents that value. Paper money of course is easily manipulated. Anyone interested in work, the economy and money, which is to say the modern manifestations of survival should study the history of banking if they haven’t already. Kings used to have their tax collectors shave down the edges of coins before returning them to the populace. The silver and gold shavings were smelted into new coins for the King’s treasury. This artificial increase in the money supply is known as inflation. With paper money, it became easy to inflate the value of currencies. Initially, paper money was a certificate redeemable in gold and sliver. Then banks found it a hindrance to tie money circulation directly to stockpiles of precious metal. So they moved towards a fractional reserve system. At first, if a bank issued more paper money than it could back up with holdings of gold and silver it was considered fraudulent. But eventually this became accepted practice. More paper money was in circulation than gold or silver in storage. This meant that if everyone tried to cash in the value of their money for precious metals at one time the banks would be bankrupt. This happened from time to time and financial chaos ensued. Some preached a return to the fundamentals of currency directly insured by gold and silver. But the banking system went the other way. More money was allowed to circulate than its representative claims in gold and silver. The system was kept afloat by a combination of faith, hope and intimidation. Some people viewed this system as a scam and others as a gateway to further economic prosperity. Eventually, President Nixon took us off the gold standard, and the paper money in circulation retained value only because everybody kept on using it. Now that our dollars aren’t redeemable in silver and gold they have become somewhat of an illusion. So long as people accept dollars in exchange for goods then they retain value. But it is hard to determine the objective value of those dollars in a timeless sense. Through the ravages of mismanagement and inflation, the price of a loaf of bread has skyrocketed in price throughout history. In 1914 in Weimar Germany, a loaf of bread could be bought for 13 cents. Six months later, you had to pay $700 for a loaf of bread. The loaf of bread had stayed the same. But the value of money, unmoored from any heavy metal indicator, fluctuated and skyrocketed without control. For present day examples of runaway inflation and the ensuing chaos and poverty look to Zimbabwe or Venezuela. At the height of its currency crisis, a loaf of bread in Zimbabwe cost 10 million Zimbabwe dollars! Our present day fractional reserve system of banking refers to a fraction, not of gold or silver or any other precious commodity, but of money itself. So a bank lends out dollars based on how many dollars it holds in its possession. This is very meta. By today’s rules a bank is expected to hold 10% of the money it lends out. That means if a bank holds 10 million dollars in assets in can inject 100 million dollars into the economy. It does this through issuing loans at interest. As some of that money makes its way back to the bank through the expanding economy the bank can lend out more money. All the new money created by banks is in the form of loans of one sort or another. So with the new money comes new debt. Mathematically we are in a system that is technically bankrupt already. If all the debts were called in tomorrow – corporate debt, personal debt such as mortgages, student loans, car loans, credit card debt, pay day loans, etc. there wouldn’t be enough money in circulation to cover them. We are presently living in a financial situation where more money is owed to the banks than exists! Since most money is moved around the world on digital ledgers now and many people carry plastic and little cash in comparison – money is becoming less and less a physical substance. This is why libertarians like Ron Paul, who critique our current financial system as “creating money out of thin air” are accurate. We started out with goods such as food, clothing and shelter. Then began paying for those goods with gold and silver coins. Then we switched to paper which represented gold and silver coins which could be exchanged for goods. Then we switched to paper which represented a fraction of coins. Then we switched to paper which represented a fraction of paper. Then we switched to numbers on a screen that represented paper which represented a fraction of paper…..
It’s hard to keep track of how far removed from physical substance our money is now. Essentially, our money is a digital confidence game. We keep creating more of it in the hopes that more goods are continuously created to keep up with our money supply. But at some point, human efficiency and productivity risk becoming exhausted. Earth after all is a limited environment. The preachers and proponents of our money system claim that advances in technology will lead to increased productivity without bounds. So our money holds value not through any inherent criteria. After all, it’s not worth the paper it’s not printed on. It holds value through what it can be exchanged for. In our present state, a consistent amount of dollars can be exchanged easily for food, gasoline and other goods. We essentially have a faith backed currency. Our dollars are literally backed by the ‘full faith and credit’ of the U.S. government. But how much faith do you have in the U.S. government? Actually a lot. Every time you pay for something in a dollar, you reaffirm that faith. Every time you wake up in the morning and go to work to exchange your time, effort and life force in exchange for dollars you reaffirm that faith. Perhaps the greatest organized religion in the world is the faith in the U.S. dollar. But what happens when you challenge that faith? Most people don’t think too much about money, beyond how to get more of it, or wishing they had more of it, or using it as a tool to pay bills and buy things. Their faith in the dollar is so strong that it goes unquestioned. Others believe wholeheartedly in the American led capitalist system and practice their faith consciously. When people become apostates of the world money-as-digital-debt financial system what are their alternatives? Well it is a bit like religion in that regard. Some people start their own. Others try to do without it completely. In our present day political landscape – world powers like Russia, China and Iran often make disparaging comments about the dollar. They hint at rejecting the use of the dollar. They are considered our most formidable enemies. It is rumored that Iraq’s Hussein and Libya’s Qaddafi were attempting to turn their economies away from the dollar and towards their own national currencies. That, some people say, is why they were killed and their countries destroyed. Essentially, to make an example out of them. It’s no rumor that we have our nukes, planes and soldiers pointed at Russia and China at any given moment. My point is that our money is not backed completely by faith but is truly backed by force. Go on believing in the dollar or our military might bomb your country. In this sense, our dollars are strongly backed by Lead. That is a very precious metal because it can kill you. Bitcoin and the infinite number of spinoffs are a new digital currency. Almost all currencies now are digital but Bitcoin and other crypto currencies really make that point clear. (Throughout history there have been many alternate currencies in existence. Crypto currencies are essentially invented, digital currencies that differ from the dollar only in that they have no historical basis. While today’s dollars are created out of thin air on digital ledgers, they didn’t start out that way. Crypto currencies never had a physical basis to begin with. Crypto currencies gain value by four ways. Faith, redeem-ability, limited supply and anonymity. Bitcoin works because people treat it like a currency. If someone is willing to accept something as payment, then that thing functions as a currency. So long as people accept Bitcoin or any other crypto currency as payment for goods or services then it gains and holds value. That is the faith based aspect of crypto currencies. Like any currencies, people have to accept them and believe that they have value. Crypto currencies in their present state are redeemable for goods. Since the world economy runs on dollars, in many ways crypto currencies are just digital stand ins for dollars. If someone gives you the equivalent of fifty dollars worth of bitcoins you are willing to accept it because it’s the same as if someone gave you fifty dollars. A few clicks of the mouse can turn the bitcoin into dollars and then into food. 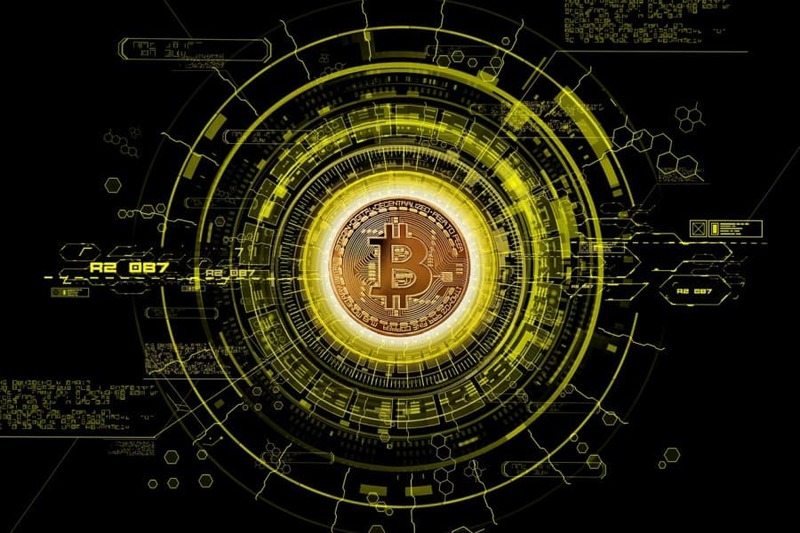 In and of themselves, outside of a few limited places like the dark web, cryptocurrencies function less as independent currencies and more as tokens for U.S. dollars and other historical global currencies. Bitcoin and other crypto currencies have placed artificial limits on their supply. The limited supply of gold and silver and the difficult process of physically mining them give them value. Gold is more valuable than tree leaves because money doesn’t grow on trees! So to give value to crypto currencies their creators invented a digital mining process that slows the creation of new coins. Bitcoin’s charter holds that only 21 million bitcoins can ever be ‘mined’. The idea that there is a finite supply of something increases the value. This is why oil costs more than water. An examination of the philosophies of scarcity and limitlessness really come into play here. To illustrate this quickly, there are those who say that we are running out of water. Then there are those who say that since the Earth’s atmosphere prevents the escape of water, that there is plenty of water and always will be. World without end, Amen. Water may move from one area to other areas and be abundant in some places while other areas experience drought, but overall it is plentiful. But if you are bottling and selling water – the idea that we are running out of water – that there is water scarcity – is a more profitable selling point. So Bitcoin uses the concept of scarcity – of there being a limited supply of Bitcoins to increase its value. But a limited supply of what? Bitcoin after all is a digital concept, not an actual thing. And there really is nothing that prevents the charter from being changed at any moment. If Bitcoin’s owners and creators decided to change the rules and double or quadruple the supply of Bitcoins what would stop them from doing so? Are Crypto Currencies a Fraud? Throughout history, the banks have changed the rules of money so many times, that money is now simultaneously a philosophical illusion and a reality. Bitcoin plays off that assumption. Bitcoin is a fraud to the extent that all money is a fraud. 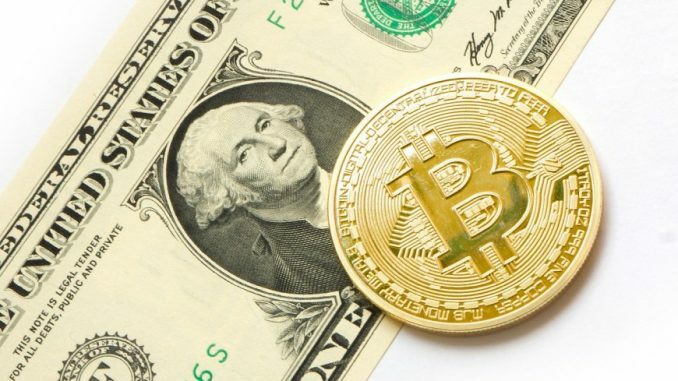 Bitcoin and other crypto cannot be criticized as fraudulent without pointing to the digital – faith and lead based – nature of the dominant currencies. Crypto takes no more license for itself than other currencies grant themselves. It is like a child that dares a jaywalking parent to scold it for jaywalking. Bitcoin is strange. Is some ways owning a bitcoin is like owning a share in a company that has 21 million outstanding shares. Except the company produces nothing, has no offices or employees, has no plans in place to one day get to work. If a company on the stock exchange was found to be selling shares in an endeavor that actually produced nothing and owned nothing it would be considered a massive financial fraud. Even Enron owned assets. Its assets were overstated but some still existed. Imagine if Enron was nothing but a computer simulation. That is one way to look at Bitcoin. But Bitcoin and crypto don’t lie about being more than they are. So they are not fraudulent. They are real because they exist and because people think they are real. They are the financial realization of Descartes philosophical principle, ‘I exist, therefore I am’. My understanding of cryptocurrencies is that they are presently subsidiaries of the dollar and don’t have the strength or historical value to exist on their own independently. Crypto is like a stock market in companies that exist solely in the digital imagination. But whether or not that digital imagination is real is essentially a philosophical question. The value of crypto currencies as vehicles for investment seem to depend entirely on their perception. At it’s highest point, one Bitcoin was worth over $19,000. Presently it is worth about $6,500. What changed? In my opinion, nothing but perception. It’s not like Bitcoin had a rough harvest or lower than anticipated sales. The value of perception is the inherent underpinning of many currencies, products and companies. But Bitcoin and crypto seem to be almost entirely based on perception. Crypto does possess the possible advantage of anonymity over more traditional banking transactions. In this way, crypto is like the digital equivalent of paying with cash. For privacy advocates, this is a major incentive. But it does lead one to wonder whether or not any web based transactions are capable or remaining truly private. At some point, you have to download the crypto and convert it into real cash or goods. If Bitcoin and crypto continue to grow and become more widely accepted as a currency unto themselves – perhaps the potential for anonymity will increase. Food is real. You can grasp it, put it in your mouth and swallow it. It is real because it keeps you alive. The farther away from that basic concept that money gets, the more confusing it becomes and the more it risks becoming entirely a figment of our imaginations. The Singularity or a Return to Fundamentals? Ray Kurzweil, the American philosopher and author, spoke of the concept of the singularity. This is the turning point at which humans and computers merge and become some new creation. To me, this seems like the digital equivalent of cryogenically freezing your head after you are dead. Maybe someday it will work. Maybe that day is fast approaching in a strange twist on the story of Creation. Maybe that day will trigger the apocalypse. But perhaps we are going the other way. Away from the singularity and back towards the soil and dust from which we sprung. The farther one gets away from fundamentals the more the likelihood of a crashing return to them increases. Survivalists and Preppers are essentially believers in the real, graspable, physical value of things. They know our money is make believe, that our politicians are liars, that the media is duplicitous. Survivalists see the entire system as unsustainable and bound to crumble. Bitcoin and crypto currencies are like the icing on a cake that has no cake, no plate, and no table. It’s just icing floating in mid air. The fundamentals have completely left the building when it comes to crypto. Ironically many survivalists are fascinated by crypto. This may be because it represents an alternative to the bankers established system of control (whether or not it actually exists outside of that realm is doubtful), is untraceable on the dark web, and it holds the ever hoped for possibility of getting rich quickly and beating the system. Perhaps crypto is the next evolution of money. Or perhaps the illusion will come crashing to an end. This seems to depend on people’s capacity for faith in the new and expanding digital realm. It remains a known unknown. Maybe money will keep expanding and we’ll all become rich. But more and more it seems like, even though money is continuously expanding without physical bounds, we’re all, or the most of us in the first world anyway, becoming poorer. The Lord’s prayer imagines a world that doesn’t fully exist on earth. It asks for a world of total forgiveness. Imagine a world where we forgave all our debtors as they forgave all of our debts. Perhaps this is only possible in a spiritual sense. Even then, it remains the hope and not the present day reality of Christians. But what if it were possible in every sense? Spiritually and financially. The world would look far differently than it does now. That place doesn’t exist on earth. Perhaps, only in heaven.